DogSpot is a leading brand name when it comes to curated premium pet products. With a wide range of products available in their repertoire, it caters to the behavioral and nutritional requirements of your pets. Years of experience and understanding of pets has gone into the designing and crafting of the products under various categories. All throughout the product life cycle, DogSpot pet experts make continuous improvements to products to ensure that your beloved pet gets nothing but the best. DogSpot focuses on developing products that are helpful to your pets at every stage of their lifecycle. Pet experts who have helped develop the products realized that just like humans, pets too have different requirements at different stages of their life. Keeping this in mind, each product has been designed to provide maximum utility at all times. Headquartered in Gurgaon, DogSpot is the brainchild of pet lovers determined to provide the best of products and services to the pet parents in the countries. A broad classification of the product offerings by DogSpot include baked products, grooming products, recreational products, soft line range and training & behavioral products. Shampoo & Conditioner - DogSpot has launched a premium range of shampoos and conditioners to keep your pets clean and fresh. The natural ingredients used in the shampoo & conditioner do not harm the skin of your pets at all and keeps it soft and supple. Treats - Pets love treats and DogSpot has made their range of treats with lot of care and love. The delicious treats come in a variety of vegetarian and non- vegetarian options to keep your pets happy. Grooming - DogSpot understands the importance of grooming for pets and has designed premium quality products to help you meet the grooming needs. There is a wide variety of brushes, grooming combs, grooming tables and other accessories that you may choose from. Cages & Crates - Whether it is house training or travelling with your pets, cages & crates are required. The cages & crates offered by DogSpot are made with strong sturdy corrosion free material which ensures that your pets are comfortable and secure even when in transit. Beds & Bedding - After a long day of running & playing, every pet needs a safe and comfortable place to sleep. Knowing this, DogSpot offers a range of beds & bedding to offer for your pet. Choose from a variety of colours, sizes and styles for your pet and give them the best of comfort. 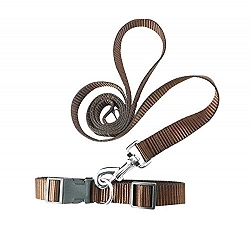 Collars, leash & harness - When out for a walk, the comfort of your pet is of utmost importance. DogSpot offers a variety of collars, harness & leash to choose from and to make your walks a memorable one. Training aids - The need for starting training from a young age has been stressed enough and for this reason, DogSpot has work hard to design the best training aids to make your training session with your pets an easy one. Apparel - Whether it is a stylish bandana or a comfortable jacket for winters, dress up your pets in the best of apparel by DogSpot. Bowls & Feeders - Every pet requires a bowl and a feeder to eat their meals and drink water. You can now choose a bowl or a feeder or your choice from a wide range of offering from DogSpot.